Ajitha L. Reddy has practiced business and family immigration law for over 18 years. She holds degrees from Harvard University (B.A. 1994) and the University of Michigan Law School (J.D. 1998). She has been a member of the Illinois State Bar since 1999. 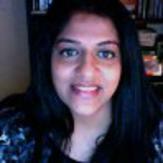 Ms. Reddy's prior positions include Deputy Executive Director at the International Human Rights Law Institute at DePaul University College of Law (2007-2008) and Associate Director at the Center for Justice in Capital Cases at DePaul University College of Law (2006-2007). She also taught law school courses in immigration law, international human rights law, death penalty law, and ethics at the DePaul University College of Law. Ms. Reddy teaches Social Studies (the Constitution) at the Sister Jean Hughes Adult High School for formerly incarcerated individuals (2004-present).